Years ago I became fascinated with painters and sculptures from the Baroque and Rococo period. In those times the human figure was depicted in dynamic poses, and in motion. 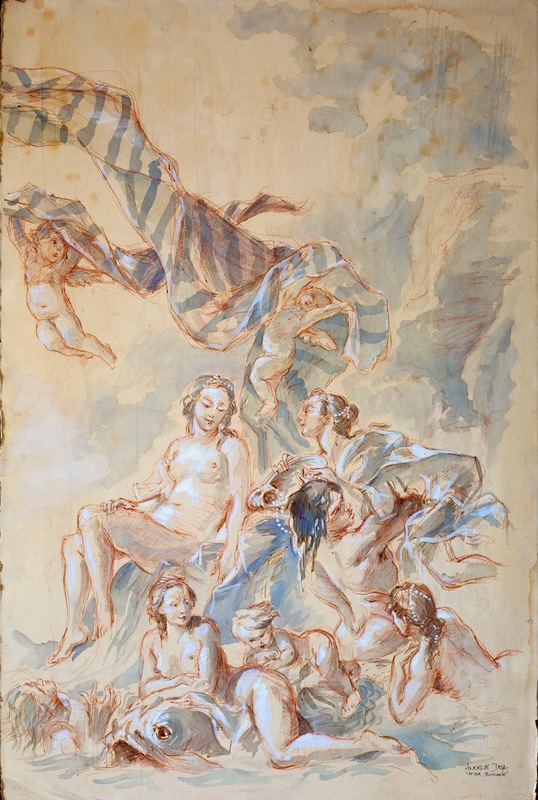 Francois Boucher (1703 - 1770) was one of the artists whose work I started to take a closer look at. 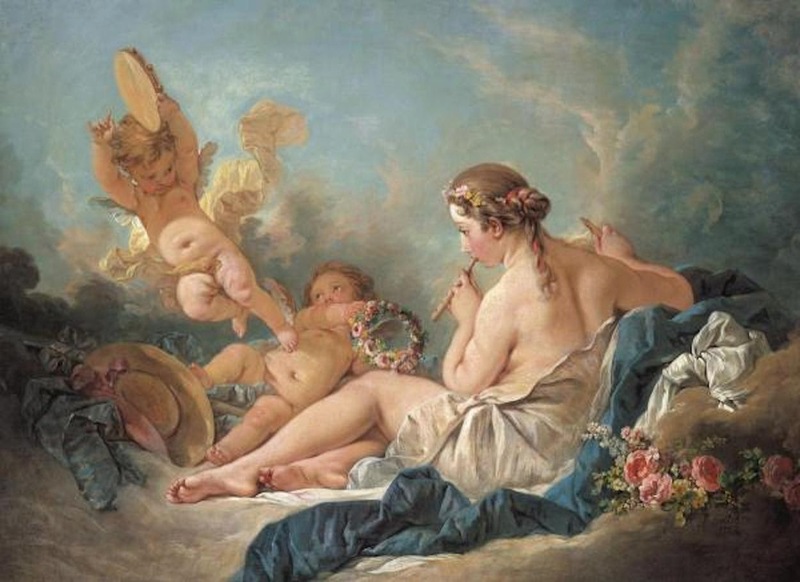 Boucher was a French painter in the Rococo Style. He is known for his idyllic and voluptuous paintings on classical themes, decorative allegories, and pastoral scenes. He was perhaps the most decorative artist of the 18th century. 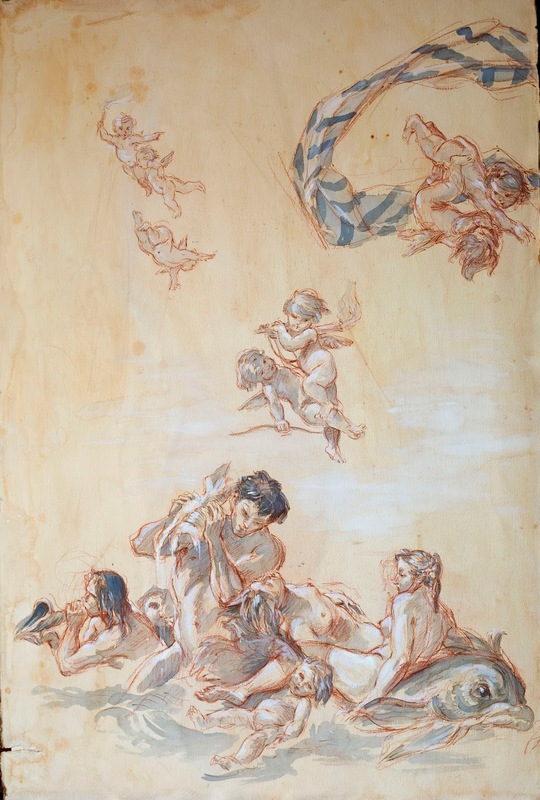 I just enjoyed analyzing his lively compositions of mostly women and cupids. And I think I learned a little about how to twist parts of the human body to avoid rigid poses, and to make figures look alive. 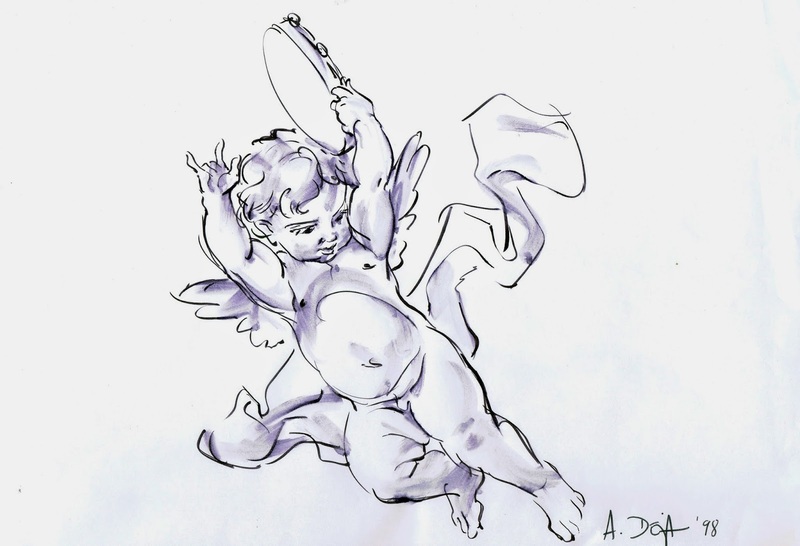 The sketch above of a cupid is a detail study from this painting, called The Muse Euterpe. 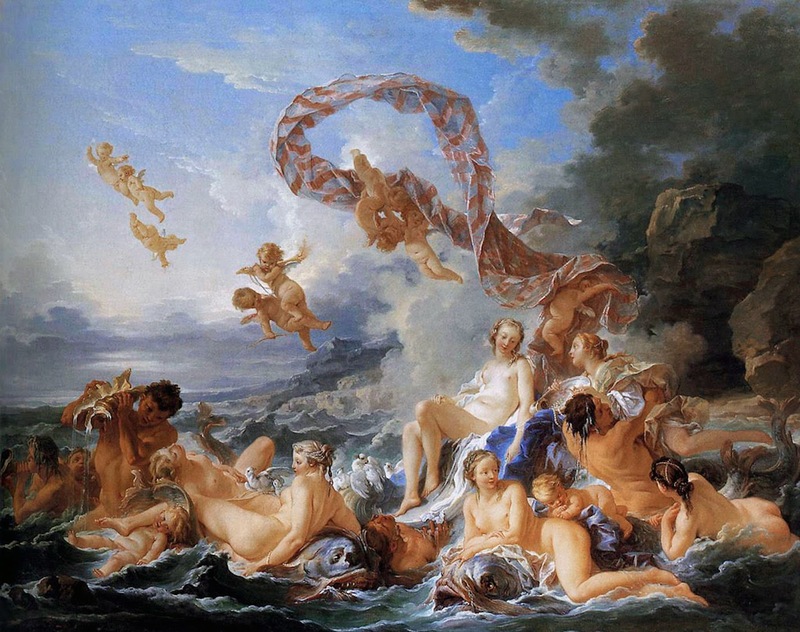 I have a coffee table book on Boucher’s art and life, and going through the pages I tried to imagine what a sketch might have looked like in preparation for certain paintings. So I decided to use his “Birth of Venus” to work backwards, and create a drawn study based on the image. To start out I bought two oversized thick, white watercolor panels and decided to age them. I took them outside and poured coffee and tea on them, then I beat them up a little with garden tools. It was fun to see how the white paper turned brown, with strains all over it. I think it’s what you call antiquing. Then I sketched the composition with brown charcoal, before adding dark and light washes to give the figures some form. In the end I touched up a few lines with a brown brush pen. Here’s what I came up with, a Boucher broken in two. Each panel is 5' x 3', 4"